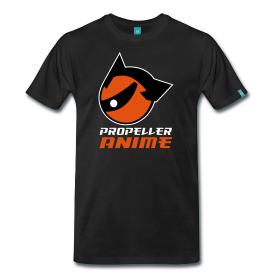 Propeller Anime: Next Propeller Anime Club meeting Sunday, June 20th at 1:00pm! Next Propeller Anime Club meeting Sunday, June 20th at 1:00pm! The next Propeller Anime Club meeting will be on Sunday, June 20th at 1:00pm! 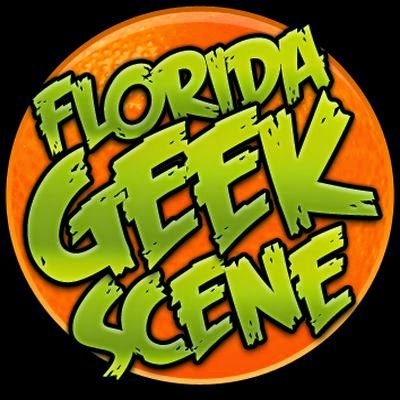 The location will be FS3B-113 at Full Sail University. This will be an exciting meeting for sure! In Gungrave, with Mika kidnapped by Balladbird Lee and Brandon's old friends from his horse race fixing days at Millenion murdered, you best believe that Beyond the Grave is furious! Not only that, Bunji wants to become a Superior after getting his face busted by Grave last meeting. More showdowns! The identity of the feared Rail Tracer will be revealed in Baccano! We'll also learn more about the woman in fatigues and what happened when Isaac and Miria decided to rob the wrong mob family! Will the gun in Isaac's heart do them any good!? We made it through the first couple episodes of Samurai 7 last time. It's pretty interesting so far. Apparently the bandits command mecha and large battleships as the pillage villages for their food. One village decides to send several members to the city to recruit samurai to defend the village. We've met the young Okamoto Katsuhiro, verteran warrior Shimada Kambei, and Kikuchiyo(who has been mechanized in the anime). Kirara was kidnapped by the androgynous Ukyo, but was saved by Shimada. So we'll see what happens next! And without further ado, our special showing will be a most excellent one indeed. If you have not seen it, then you are in for a treat! 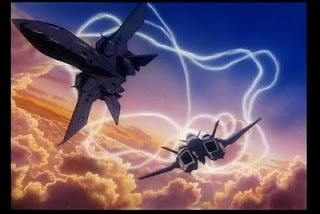 You may not remember love, but Shoji Kawamori created a milestone in anime with Super Dimension Fortress Macross, a mecha franchise that often rivaled that of Mobile Suit Gundam. In addition to creating many Macross series, Kawamori has also created The Vision of Escaflowne and Genesis of Aquarion. Furthermore, he's done mechanical designs for various Macross, Patlabor, Patlabor 2, Ghost in the Shell, Eureka Seven, and he even designed the XGP15A-II for Outlaw Star! To say Shoji Kawamori is accomplished in the anime industry is an understatement! But that is not all! Our feature, Macross Plus, was co-directed by Shinichiro Watanabe who later went on to direct both Cowboy Bebop and Samurai Champloo! Writer Keiko Nobumoto went on to write screenplays for Cowboy Bebop and Tokyo Godfathers and even create Wolf's Rain. Composer Yoko Kanno would later score the likes of Cowboy Bebop, The Vision of Escaflowne, Jin-Roh, Ghost in the Shell: Stand Alone Complex, and so much more! Key Animator Yasuhiro Irie recently hit big time by directing Full Metal Alchemist: Brotherhood. He's also done key animation for many works ranging from Mobile Fighter G Gundam to Tekkonkinkreet. Needless to say, Macross Plus is a must watch anime with a stellar staff behind it. We shall do so at the next meeting! See you all then!